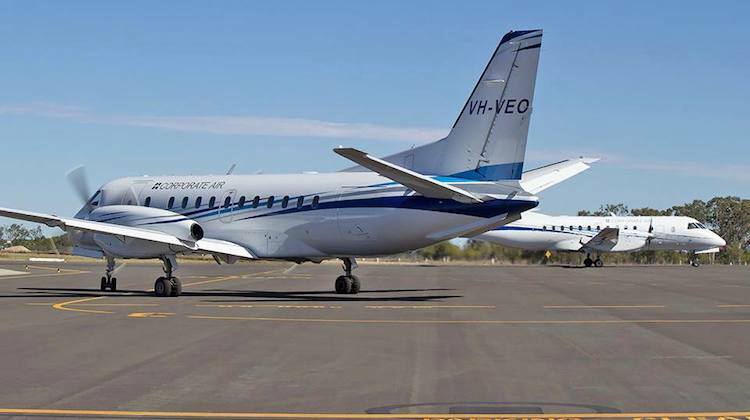 Regional airline Fly Corporate is adding Dubbo to its route network with plans to serve the NSW Central West city from Brisbane and Melbourne Essendon. The airline will operate six flights a week on the Dubbo-Brisbane route from August 7, while twice weekly Dubbo-Melbourne Essendon services are set to commence on September 28. Both routes will be flown with Saab 340B equipment, Fly Corporate said in a statement on July 11. Dubbo-Melbourne Essendon and Dubbo-Brisbane were previously served by Jetgo, which went into liquidation in early June. The Supreme Court in early July ordered the airline be wound up and appointed Sule Arnatovic, of Jirsch Sutherland as the liquidator. In addition to restoring nonstop flights from Dubbo to two capital cities, Fly Corporate chief executive Andrew Major said the new routes would offer residents of Dubbo an alternative to Sydney for domestic and international connections. “The flights also provide a viable and practical regional service for the population centres surrounding Dubbo along with personnel working in mining and agriculture related services throughout the region,” Major said. Dubbo City Council Mayor Ben Shields welcomed the announcement from Fly Corporate. “Securing the Brisbane and Melbourne routes will be of significant benefit to residents and businesses of the Dubbo Region,” Cr Shields said. Brisbane is Fly Corporate’s largest hub, with nonstop flights to Armidale, Biloela/Thangool, Coffs Harbour, Inverell, Moree, Narrabri, Orange and Tamworth. While Dubbo is a new destination for Fly Corporate, the airline already serves Melbourne Essendon from Orange. Other airlines at Dubbo include Fly Pelican (Canberra and Newcastle), Regional Express (Broken Hill, Cobar and Sydney) and QantasLink (Sydney). Canberra-based charter operator Corporate Air, which has been in operation since 1972, moved into the regular public transport (RPT) market in April 2016, establishing Fly Corporate and launching Brisbane-Coffs Harbour as its inaugural route. Melbourne Essendon Airport has been seeking to build up its regular public transport (RPT) offering to regional destinations. It currently has Sharp Airlines, Free Spirit Airlines and Fly Corporate offering scheduled RPT services out of the close-in Melbourne airport. Free Spirit Airlines are long gone out of Essendon. Essendon airport kicked them out a few months ago. From my experience when FC entered the Tamworth market they were a lot more reliable than JG. The double daily then with 340Bs nailed the coffin completely for JG on that route. They seem to have good heads on their shoulders and if they can pick up the Wollongong run to Melbourne I think they’ll do well. Would not be at all surprised if they’re actively seeking more SAABs. Hoping they trial a YSTW – YMEB route. would they entertain Griffith onto Melbourne from Dubbo? You need frequency. It will fail with 2 flts. How do you get back. Min 6 weekly Dubbo- Essendon.